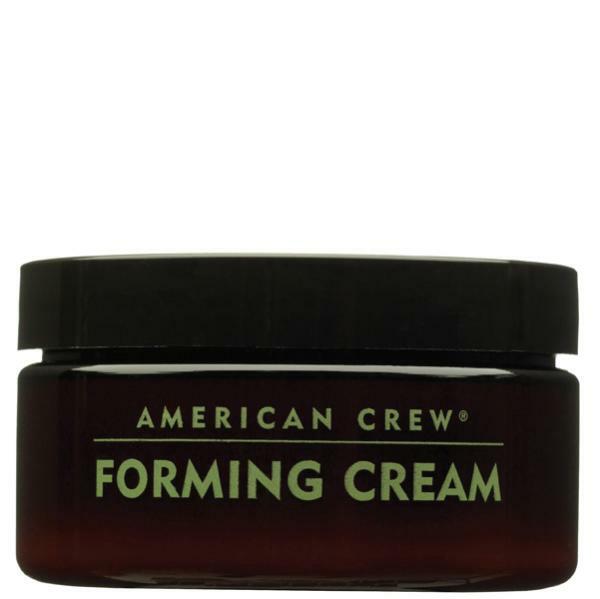 Forming Cream provides a medium hold high shine and pliability with natural shine. Lanoline wax boosts hold and Sucrose conditions and won't dry the hair. Since a long time, a few years, I use the "defining paste", but this time I ventured the "forming" and I have to say that I did very well. I am very pleased with the smell it leaves on the hair for a few hours as well as the texture and look of the hair. I've used hair products ever since i can remember and I'm forever trying new ones (yet to find one that really works for me)! I found this to be OKAY at best, it doesn't give a great hold, one gust of wind and hair will be out of place and it really isn't that easy to get back unless you happen to carry a large mirror, comb/brush and a basin of water to help make it malleable again. For the price its certainly not worth the bother. Great product well worth the money. Easy to use and doesn't leave hair clumpy. This is my new go-to hair styling product. It's ideal for styling a slick undercut, and gives great hold and shine without looking greasy or weighing hair down. I also like the fact that hair remains malleable and doesn't get that dry, crunchy texture that some gels and pomades do. Great smell, great hold, great size (fits my gym bag), basically great form!